Have you ever been in a situation where there are multiple friends at the same event, each recording it on their mobile device, and have a need to consolidate them into one single video to capture the entire experience? 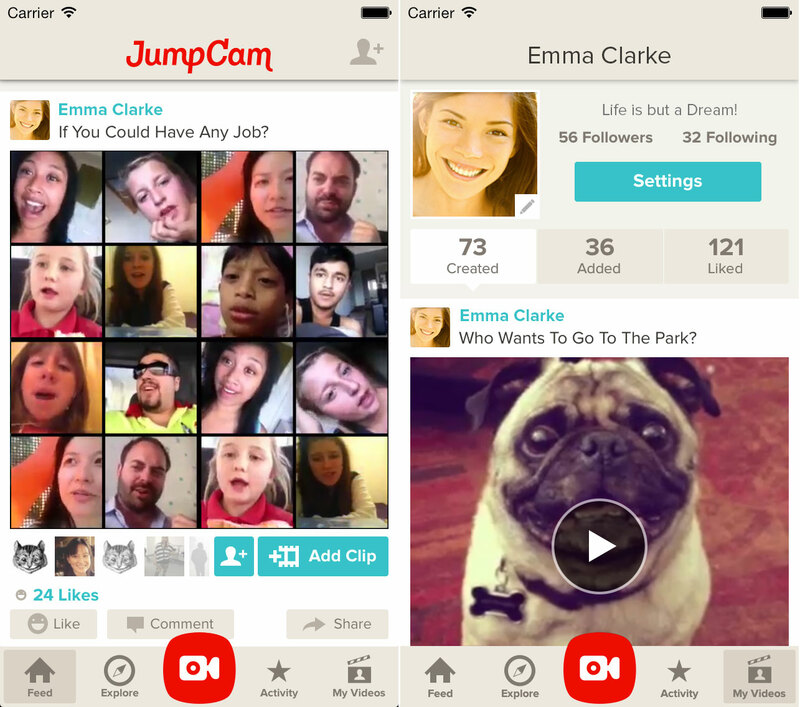 JumpCam thinks there are those that can relate and it’s launching its iOS app to the world today to help make it simple to collaborate with others and share it through social media. Started by David Stewart, Yammer’s former Vice President of Product, the idea for the company came up during a wedding where he noticed that there were some people who wanted to express their well-wishes, but weren’t able to attend. 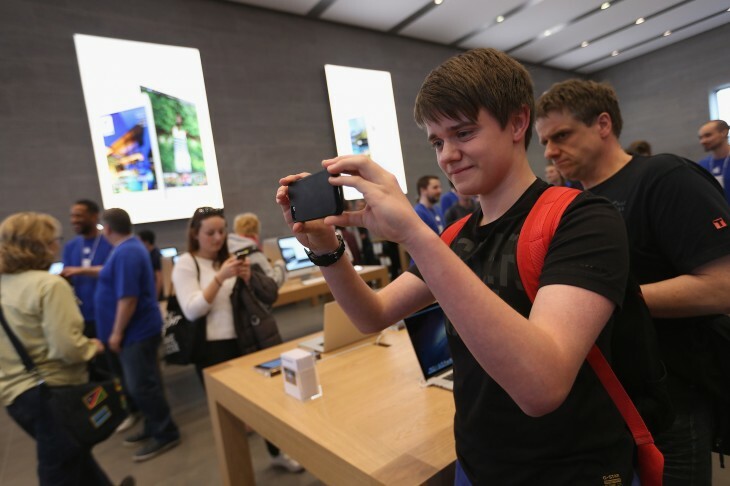 Additionally, there were those in attendance that were recording moments from the event. JumpCam is intended to solve this issue with functionality that’s akin to Everlapse for video. One person starts a movie with as many clips they want and then can ask the public or just their friends to contribute their own either through the JumpCam app or off of their camera roll. Each clip submitted can be up to 10 seconds in length and a video can have up to 30 clips. 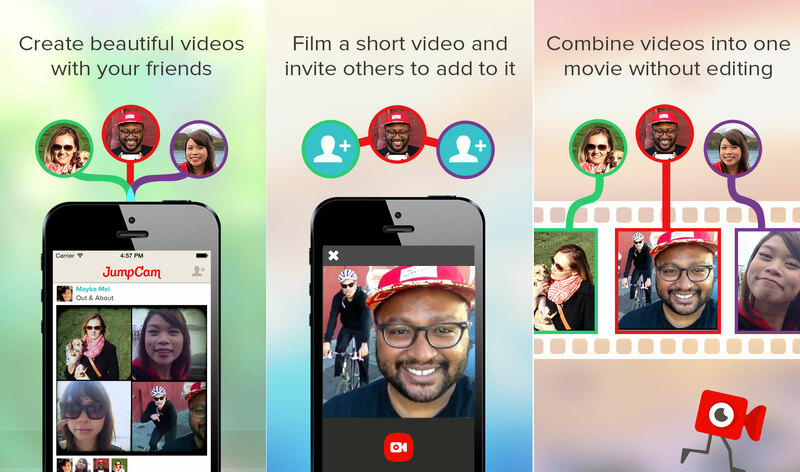 Users can elect to have anyone submit a video clip or limited to only friends or by invite-only. Just like Everlapse, clips can be continuously added until filled to capacity and can also be reordered by the video’s creator. At this time, contributors to a JumpCam video can only submit clips, not delete or edit them. Like with most video applications, music and filters can be added to enhance the experience. Each video can also be shared to Tumblr, Twitter, and Facebook easily through the app, or even embedded on a website in a similar manner like Instagram has. The interesting thing is that the embedded videos will be updated if new clips are added or any edits are made — all in near real-time. So what’s the monetization strategy for JumpCam? Stewart isn’t saying anything right now, but when we suggested things like premium features, in-app ads, or even white labeling the service, he didn’t discount them. JumpCam raised $2.7 million in funding last fall from Google Ventures, Trinity Ventures, and several angel investors like AngelList’s Naval Ravikant and Yammer co-founder David Sacks. The app is available for iOS devices starting today while an Android version is expected to be released in a couple of weeks.